American artist Chris McCaw builds his own large-format cameras and outfits them with powerful lenses. 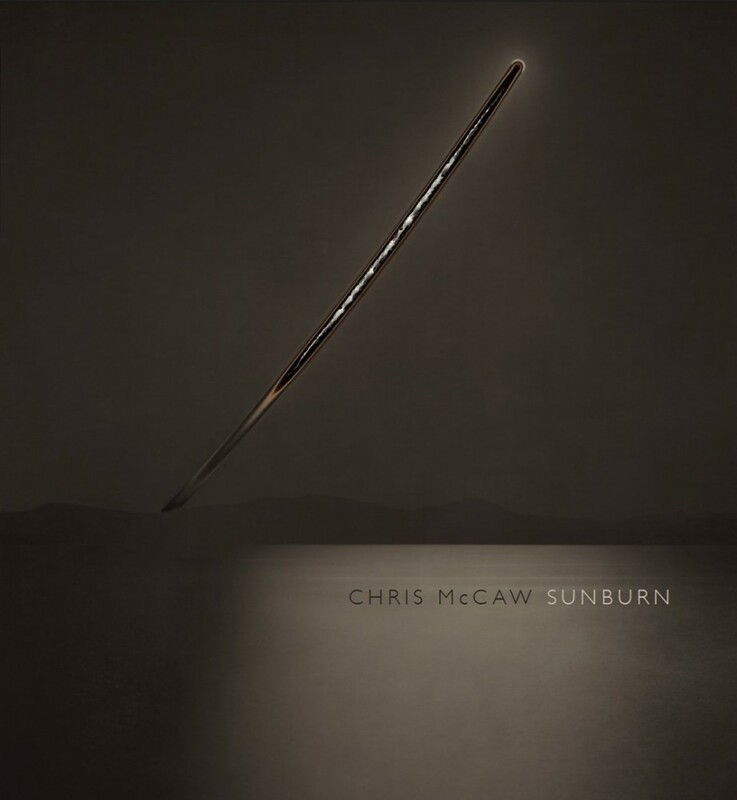 Instead of film, McCaw inserts vintage photographic paper directly into the camera and aims the lens at the sun. Long exposures magnify the sun’s rays, which burn through or sear a path across the surface of the paper while creating a solarized image of the landscape or seascape below. This monograph features 38 reproductions of McCaw's unique prints, including several gatefold images of multi-element works.